The universe through the eyes of an astronomer or astrophysicist is a fascinating place — and a good book can give you a glimpse of that world without requiring years of study. Here are the Space.com writers' and editors' recommendations of astronomy and astrophysics books that will thrill, puzzle, intrigue and blow your mind. With "Out There: A Scientific Guide to Alien Life, Antimatter, and Human Space Travel (For the Cosmically Curious)," Space.com senior writer Mike Wall gets at the most pressing questions of our place in the universe, who else is out there, what they might be like and why we haven't heard from them yet. Wall draws on up-to-date science to answer speculative questions accurately and with good humor, accompanied by Karl Tate's entertaining line drawings. Read a Q&A with Wall about the book here, and check out an excerpt here. In her debut book "Catching Stardust," space scientist Natalie Starkey breaks down misconceptions about comets and asteroids while delving into some of the reasons why it is so vital that we study them. Using the Rosetta and Stardust missions to frame both how and why we study these cosmic objects, Starkey reflects on the history of our human understanding of comets and asteroids. 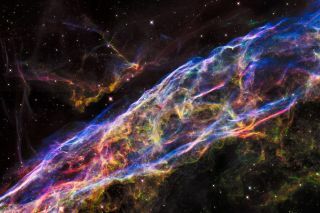 You can read an interview with Starkey here, and read an excerpt about these cosmic objects here. Hawking's death at age 76 was announced March 14, 2018; read more about his life and legacy here. "A Briefer History of Time," published first in 2005 in collaboration with Leonard Mlodinow, offers a more accessible update on the science of the first book. "See It with a Small Telescope" is a fun read for those just getting familiar with their new telescope. Will Kalif, who runs the website Telescope Nerd, guides readers to dozens of interesting objects in the sky. Whether you enjoy looking at planets, star clusters, the moon, nebulas or something else, there are a range of fun things to seek out using this book. You can read an interview with Kalif here, and read an excerpt about spotting the Orion nebula here. Whether you're an amateur astronomer, casual stargazer or anything in between, "100 Things to See in the Night Sky" is your one-stop shop for information on where, when and how to spot some of the brightest and most easily recognizable sights in the sky. Written by Dean Regas, an astronomer and public outreach educator at the Cincinnati Observatory in Ohio, the book breaks down everything you need to know to stargaze like a pro. In "The Zoomable Universe," astrophysicst Caleb Scharf takes readers from the size of the observable universe step-by-step down to the shortest theoretical measurable length. Along the way, Scharf and the book's illustrator, Ron Miller, explore the formation of the universe, our galaxy and Earth, the makeup of life and quantum physics, and the complexity that develops when you look beyond the surface at any scale. Read an interview with Scharf on the book and the biggest changes coming to our understanding of physics here. Read an interview with Scoles about the book and Tarter's life here. "Planet Hunters" takes readers through the history of the search for worlds around other suns — from heretical belief to science fiction flight of fancy to one of the fastest-growing fields of astronomical research. Author Lucas Ellerbroek highlights the passion of exoplanet researchers as they learn about the countless planets circling other stars. Throughout history, solar eclipses have transformed from terrifying omens to the subject of scientific study. 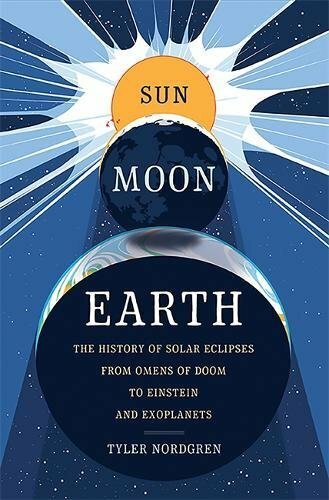 In "Sun Moon Earth: The History of Solar Eclipses from Omens of Doom to Einstein and Exoplanets," astronomer-artist Tyler Nordgren traces the natural history of eclipses and how they have inspired eclipse chasers to travel the world and witness the natural phenomenon. Read an interview with the book's author here. You can read an interview with the authors here. "Asteroid Hunters" (Simon & Schuster, 2017) by Carrie Nugent. Read an interview with Nugent on the book and the latest in asteroid hunting here. You can read an interview with Grinspoon (and watch video clips of him discussing the book with Space.com) here. Watch our gift guide video about the book here. "The Glass Universe" follows the women of the Harvard College Observatory and their groundbreaking measurements of the stars. Read a Q&A with Sobel about the book here. Space.com spoke with Dean Regas about making "Facts From Space!" exciting and accessible here. Space and time are weird. Human understanding of the universe relies on space and time separating things — one object cannot affect another unless they're touching, or unless object A sends an intermediary out to touch object B, like a photon bouncing off of something and into your eye. All very straightforward, and good for scientific investigation. Read a Q&A with George Musser about his new book and the nature of reality here. "Black Holes and Time Warps: Einstein's Outrageous Legacy" by Kip Thorne. "The Demon-Haunted World: Science as a Candle in the Dark" by Carl Sagan and Ann Druyan. "Hyperspace: A Scientific Odyssey Through Parallel Universes, Time Warps, and the Tenth Dimension" by Michio Kaku.